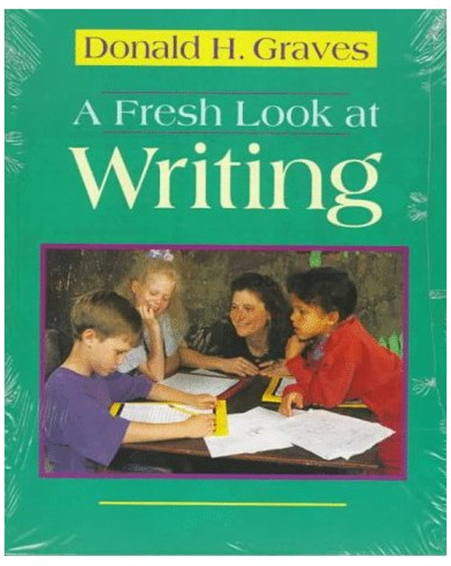 Work with a child who needs help with handwriting. Choose one of the children whose handwriting you have observed. First, ask the child to examine her work and find the words or phrases she feels represents her best handwriting. Then ask them to find a section in which they have not written as well. Ask, “What is good about this one and not so good about this one?” The purpose of this action is to find out the criteria they use to determine good and poor handwriting. Remember, children can often show you good handwriting yet not know why it is good. You can help the child find the language to express her evaluation. All too often, children with major handwriting problems are asked to spend inordinate amounts of time recopying their work. Unfortunately, they quickly learn to narrow their thinking and write as little as possible. I prefer to start by making sections of text better, then gradually increase the amount. Graves, Donald H. 1994. A Fresh Look at Writing. Portsmouth, NH: Heinemann, p.246.